The Sat-3/Safe submarine telecommunications cable system that links SA with Portugal and Malaysia has been upgraded to between 340Gbit/s (SA to Portugal) and 440Gbit/s (SA to Malaysia) to cater for growth in demand for international bandwidth. Telkom executive for global capacity business, Johan Meyer, said on Monday morning that the additional capacity is now in service. 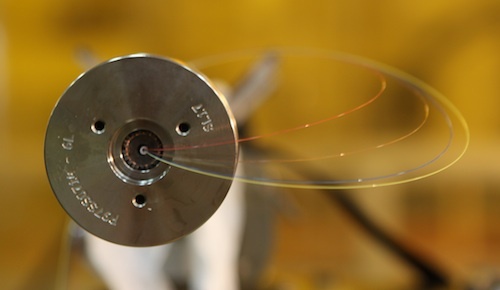 Sat-3/Safe had an original design capacity of 120-130Gbit/s but new technologies have allowed the consortium that owns the cable — Telkom is the largest investor — to upgrade the capacity by deploying additional wavelengths in the cable’s fibre. The upgrade represents a giant increase in equipped capacity since 2001, when SA was served only by the 1Gbit/s Sat-2 cable system. Meyer says the construction of additional cable systems, the East Africa Submarine System (Eassy) and the high-capacity West African Cable System (Wacs) — Telkom is an investor in both systems — is on track. The 1,4Tbit/s Eassy system, which will link SA with Djibouti and onward on the Europe India Gateway cable to the UK and India, will be ready for service in mid-2010. Wacs, which has a design capacity of 5,1Tbit/s, is on track for delivery in mid-2011, Meyer says. “One thing is for certain: capacity prices will continue to be under tremendous pressure as these cables arrive,” says Meyer.